When you’re expecting a large tax refund from the IRS, you undoubtedly want it as quickly as possible. There are a few ways to speed up your refund: electronically file your return, request your refund via direct deposit rather than paper check, and, perhaps most importantly, make sure your tax return isn’t delayed by common mistakes. There are many errors the IRS regularly encounters. These raise an immediate red flag and can cause your refund to be delayed by weeks or months as the IRS tries to sort out the answers. In some instances, you may even need to file an amended return. Be sure to double-check your returns for the following easily overlooked errors. Make sure the Social Security numbers (SSNs) you enter for yourself, your spouse, and your children or other dependents are correct. The IRS lists this as one of their most common filing errors, and it’s an easy one to avoid. Just take a look at everyone’s Social Security card and enter the number exactly as it appears. This is one step online tax preparation software can’t check for you since they don’t have access to the Social Security Administration database. An incorrect Social Security number can get your electronically filed return rejected. If you’re filing your return on paper, write the numbers legibly, making sure they’re clear and easy to read. Double-check that your name, your spouse’s name, and the names of all of your dependents match the names on the corresponding Social Security cards. If you recently got married, divorced, or legally changed your name for any other reason, but you haven’t officially changed your name with the Social Security Administration (SSA), you’ll need to file your return using the name printed on your Social Security card. Otherwise, the return will be rejected because there’s a mismatch with the SSA’s records. This is a common mistake on paper returns. Fortunately, online tax preparation software won’t allow you to choose more than one filing status. If you’re filing your return on paper, make sure you’ve clearly checked off the proper filing status and that you’ve checked only one. If you’re filing jointly with your spouse, both of you must sign the tax return. Overlooking this step can hold up your return for weeks. The IRS will send the document back to you for signature and can even assess a penalty for filing your return late. Even if you use a paid tax preparer, you must always sign your own return. You can avoid this error by filing your return electronically and signing the return digitally before transmitting it to the IRS. Math errors are common on returns prepared without the help of tax software. If you prepare your return by hand, double-check that you’re using the most up-to-date version of the IRS tax tables and triple-check your math. If you’re using tax preparation software, it handles the calculations for you. Just make sure you’ve entered all numbers exactly as they appear on your W-2s, 1099s, and other tax forms. The software handles addition and subtraction, but it won’t know whether you made an entry error such as transposing numbers. If you didn’t qualify for this credit last year but experienced a decrease in income this year, check to see if you’re now eligible to claim the credit. Also, if you began contributing to a traditional IRA, paid student loan interest, or qualify for another above-the-line deduction that lowers your adjusted gross income, those deductions may reduce your income enough to qualify for the EITC. Note, though, that you aren’t eligible to take the EITC if you’re under age 25 or over age 65, even if your income is low enough to meet the limits. The exception to this is if you have a qualifying child. Still not sure if you qualify? Check out the IRS’s EITC Assistant to find out if you’re eligible for the EITC and estimate the amount of your credit. If you’re over the age of 65, be sure to take advantage of the additional standard deduction for taxpayers who are over 65 or blind. For 2018, that additional deduction is worth an extra $1,300, or $1,600 if you’re unmarried and not a surviving spouse. There’s a worksheet on page 35 of the Form 1040 instructions to help you figure out how much of a deduction you qualify for. If you’ve requested a direct deposit refund from the IRS, make sure you double-check the routing and account numbers for your bank account. This is also a common error that can lead to delays — and it’s one that’s easy to prevent. When claiming qualified dependents on your taxes, make sure you’re eligible to claim them. You can’t claim someone as a dependent unless that person is a qualifying child or relative. The child must be your son, daughter, stepchild, foster child, brother, sister, half-brother, half-sister, stepbrother, stepsister, or a descendant of any of them. The child must be a) under age 19 at the end of the year and younger than your (or your spouse if filing jointly); b) under age 24 at the end of the year, a student, and younger than you (or your spouse if filing jointly); or c) any age if they’re permanently and totally disabled. The child must have lived with you for more than half the year. There are exceptions for temporary absences and children of divorced or separated parents. The child must not have provided more than half of their own support for the year. The child must not be filing a joint return for the year with a spouse — unless they’re filing that joint return only to claim a refund of withheld income tax or estimated tax paid. The person can’t be your qualifying child or the qualifying child of another taxpayer. The person either a) must be related to you (there’s a list of qualifying relatives on page 18 of Publication 501); or b) must live with you all year as a member of your household. The person’s gross income for the year must be less than $4,150. You must provide more than half of the person’s total support for the year. Need more help? The IRS’s online Whom May I Claim as a Dependent? tool can walk you through the decision-making process. 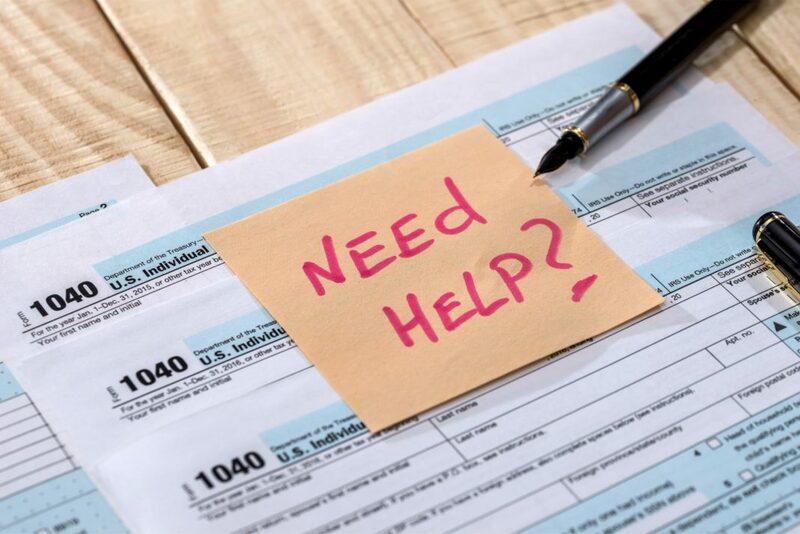 The tax filing deadline for 2018 tax returns is April 15, 2019. However, taxpayers who live in Maine or Massachusetts have until April 17, 2019. Those two extra days are due to Patriot’s Day, a legal holiday in those states that falls on Monday, April 15, 2019 and Emancipation Day, a holiday in the District of Columbia that falls on Tuesday, April 16, 2019. If you need more time to get your taxes together, you can file for an automatic six-month extension, which gives you until October 15, 2019. Keep in mind that an extension of time to file your return does not give you an extension of time to pay your taxes. You’re still required to pay the tax due by April 15th or face a late payment penalty. If your goal in requesting an extension is to get more time to come up with the necessary cash, you’re better off filing your return on time, paying as much as you can with the return, and setting up an installment agreement to pay off the balance. If you have an IP PIN, you must include it on the front page of Form 1040 to the right of where you sign the return. If you have an IP PIN and don’t include it on your return, your electronically filed return will be rejected, you’ll have to paper-file your return, and the IRS will subject your return to additional screenings to validate your identity. In short, it will take a lot longer to receive a refund. Do yourself — and the IRS — a favor and give your return a once-over to check for errors. Some of the mistakes mentioned above are easy to avoid if you use tax preparation software, but even the best tax software won’t catch basic inputting errors. So double-check your return before filing. This simple step can help you avoid rejected returns, delayed refunds, and pesky IRS notices. Have you ever had a tax return rejected for one of the above errors? How long did it delay your refund?